Rockin’ for a Reason on March 7th! 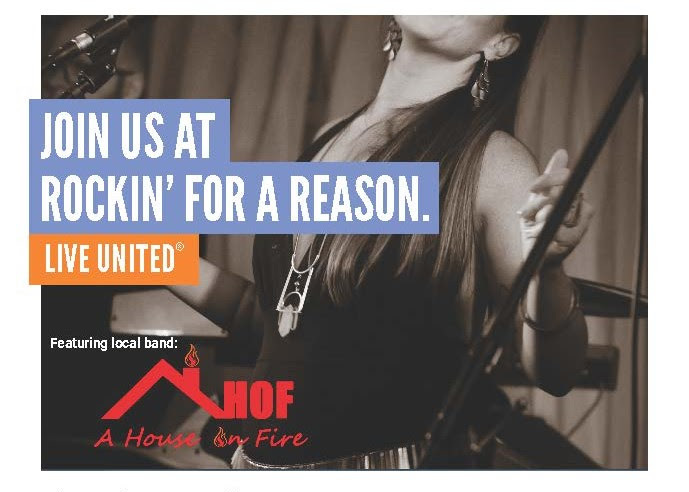 On Thursday, March 7th, join A House on Fire and WOMEN UNITED® for a night of movin’ and groovin’ to support financial stability for women and their families in Chittenden, Franklin, and Grand Isle counties. Food and drinks all night long! Tickets are $20 in advance and $25 at the door. GET TICKETS HERE! All proceeds are directed towards United Way of Northwest Vermont’s Working Bridges Initiative. Learn about additional Women United events in your area, or visit us at unitedwaynwvt.org. This entry was posted in Events in the Broader Community and tagged Burlington, community, Financial Stability, united way, women on February 12, 2019 by S.C. Intern.